Stockberry Studio: Stockberry Studio's Grand Opening SALE!!! 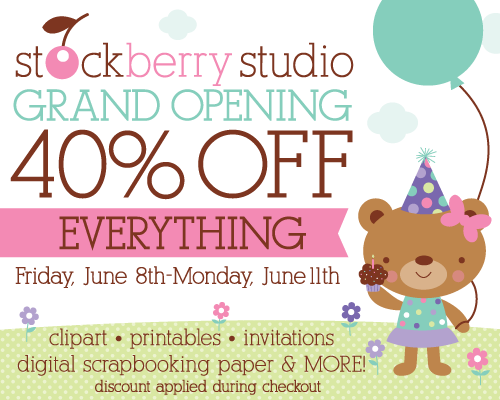 Stockberry Studio's Grand Opening SALE!!! Stockberry Studio's NEW! website Grand Opening SALE starts today June 8th through Monday, June 11th. 40% off everything no coupon required just add the items to your shopping cart and the discount will apply during checkout. Click HERE to visit the new website. Adorable website... I love it!